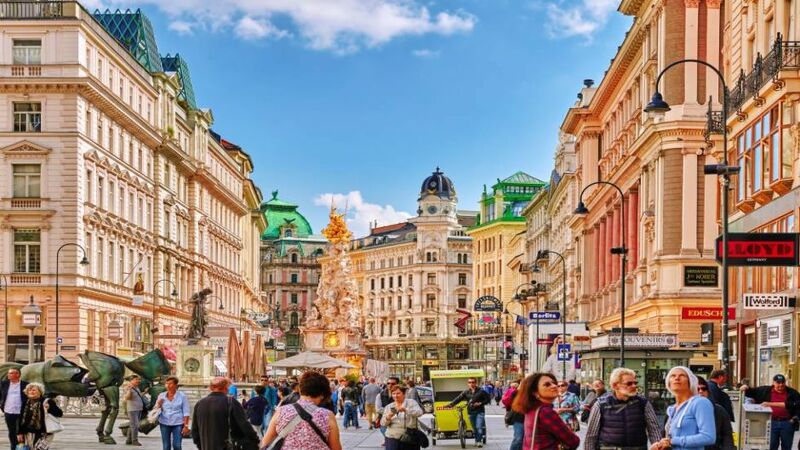 The city of Vienna is a city located in Austria, in Central Europe located on the banks of the Danube river, in the Valley of the Woods of Vienna, at the foot of the first foothills of the Alps. It is the capital of Austria and one of its nine federated states. Vienna surrounded by the Land of Lower Austria. Vienna is the largest city, cultural and political center of Austria. It is also the second most populous city in Central Europe (after Berlin) and the tenth largest city in the European Union. Its metropolitan area has 2.4 million inhabitants, a population similar to that of the city in 1914. The official language is German. The city has a long history, since it is one of the oldest capitals of Europe, so it has an important artistic heritage. During the nineteenth century was one of the great musical capitals of the world and at the beginning of the twentieth century Mecca of the philosophy and political debate of the West, as well as one of the main world cultural centers. 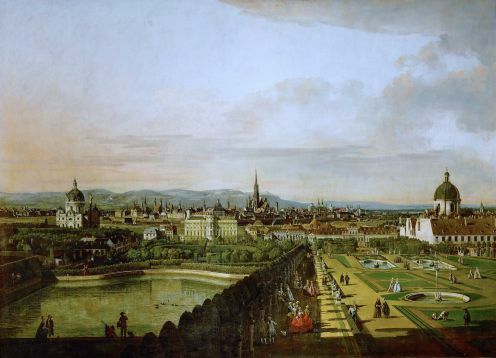 The first human settlements in present-day Vienna are of Celtic origin (ca. 500 BC), later Germanic, and with the expansion of the Roman Empire to the north in the 1st century BC. C., adheres to it in the year 13 a. The Danube river, like the Alps, then serves as a natural boundary between barbarians and Romans, and Vindobona served from then until the fall of Rome (AD 476) as a point of defense of the empire. The city was born as a camp of the Roman army, to control the Province of Panonia, in which different units are based, among which the Legio X Gemina stands out, which remained in it from the year 106 until the end of the 4th century, since the area was occupied by Germanic peoples during the time of Gratian and Theodosius I. With the barbarian invasions it is occupied by Avars and Magyars. Charlemagne conquered the city in the ninth century and baptized it with the name of Ostmark (the eastern brand). During the Middle Ages, Vienna is an important ally of the papacy and a point of supply of arms and provisions for the company of the Crusades (eg Ricardo Corazón de León). It was the capital of Hungary with Matías Corvino, and from the fifteenth century to the Napoleonic Wars capital of the Holy Roman Empire, being the Habsburg's habitual residence. In 1237 the walls of Vienna reached the extension that they would preserve until their disappearance in 1857. Since the fall of Constantinople in Ottoman hands (1453) there was an increasing interest of the Turkish Empire for Vienna, since it was the key to conquer the other countries of Europe; interest that becomes more remarkable during the period of Sultan Suleiman the Magnificent. But their efforts failed and the Austrians were victorious from the various places they subdued the city, the first in 1529, although initially the defenders of the city only received the halfhearted support of their German neighbors. The Turkish army was ill-equipped for a siege and its task was hampered by snow and floods. Suleiman retired at the end of October and was unable to resume the siege on his return in 1532, when he found the defenders supported by a large army under the command of Emperor Charles V's brother, Fernando. Between the first and the second Turkish site, the defensive facilities were constantly reinforced and modernized. This resulted in the fact that the free spaces had to be enlarged again and again in front of the bastions to be used as a shooting range. In 1529 these spaces covered 90 m that, from 1683, were widened to 450 m. Until 1858 no building was built on this esplanade. The second site occurred in 1683, in the so-called Battle of Vienna, and marked the beginning of the decline of the Ottoman Empire in Europe. It was initiated by the great vizier Kara Mustafa, who desperately needed a military success to reinforce his unstable position and tried to achieve it in a campaign against Emperor Leopold I. The Turks advanced with overwhelming force, besieging the city on July 16, but their The lack of siege artillery allowed Leopold to gather an additional army made up of Austrian, German and Polish troops, which defeated the Turkish army in a battle fought before the city walls on September 12, which is also known as the Battle of Kahlenberg. .
During the eighteenth century, the Habsburgs had made the city its capital since 1556 and its importance was enhanced by the expansion of the Danube valley. It became a main core of the European Baroque thanks to the construction of important architectural works and musical creations. In 1800, before the Napoleonic wars, the city had 231,900 inhabitants. Since the siege of 1683, when many small towns that existed outside the wall were destroyed, numerous palaces with gardens were erected in the undulating terrain facing the city. The starting point was the plans of the royal palace of Schönbrunn, drawn up by Johann Bernhard Fischer von Erlach. By 1720 there were 200 rural residences. Prince Eugene of Savoy had acquired in 1693 the most beautiful plot and one of the largest with the first income that had arrived. There, after forty years of work, he built the Belvedere with its spacious gardens.